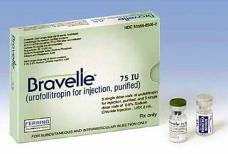 Astellas (formerly Fujisawa) needed a name for a topical gel (dapsone) used to help treat acne. Name for a non-systemic, topical application designed to treat Raynaud’s Disease. Astellas need a name for an antifungal agent consisting of micafungin sodium that is administered by intravenous injection. Medeva in conhunction with Anthra need a name for their bladder cancer drug –valrubicin. Name for Bausch & Lomb’s fluocinolone acetonide intravitreal implant for the treatment of chronic non-infectious uveitis, a sight-threatening inflammatory disease that primarily afflicts people between the ages 20 and 50, during their prime working years. 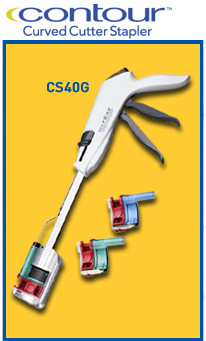 Name for Ethicon Endo-Surgery’s new curvilinear cutter stapler for colorectal surgery that provides surgeons the ability to gain lower access and greater visibility than previous instruments to both cut and staple during a low anterior resection. Name for BMS-MI (formerly DuPont Merck) Perflutren Lipid Microsphere ultrasound imaging contrast agent. Name for Galderma’s combination of fluocinolone / hydroquinone / tretinoin for the the treatment of melasma. Name for Galderma’s sales division to serve the current and future needs of dermatologists in the United States and supplement the company's other current sales divisions. Name for Galderma’s first prescription, therapeutic skin cleanser (sodium sulfacetamide 10% and sulfur 5%) designed to help control and treat rosacea, as well as acne and seborrheic dermatitis. 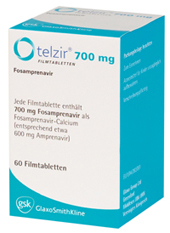 European name for GSK’s antiretroviral protease inhibitor. Taken with ritonavir, is used together with other antiretroviral medicines to slow down the progression of human immunodeficiency virus (HIV) infection. Name for Allos Therapeutics lead product candidate, (efaproxiral). A synthetic small molecule designed to sensitize hypoxic, or oxygen-deprived, tumor tissue during radiation therapy. Name for Ferring Pharmaceuticals urofollitropin for injection, highly purified, human-derived follicle-stimulating hormone (hFSH) for the treatment of infertility. Name for UCB’s (formerly Celltech, formerly Medeva) methylphenidate extended-release treatments for attention deficit hyperactivity disorder (ADHD). Name for PDL BioPharma’s humanized monoclonal antibody, visilizumab, for the treatment of steroid-resistant ulcerative colitis (IVSR-UC) and Crohn’s disease (CD). Name for Bayer Diagnostic’s next generation Clinitek urine chemistry analyser. Name for Penwest’s technology that offers a variety of predetermined lag times, that can control when and where a drug is released, followed by a variety of customized drug-release profiles to include immediate and controlled release. Name for SCHWARZ PHARMA’s technology that formulates medicines into orally disintegrating tablets that dissolve rapidly in the mouth. They can be swallowed with or without water and have pleasant tasting flavours such as citrus or mint. Name for SCHWARZ PHARMA’s carbidopa-levodopa orally disintegrating tablets for patients suffering from Parkinson’s. Name for SCHWARZ PHARMA’s orally dissolving formulation alprazolam, for the short-term relief of anxiety symptoms, anxiety associated with depression and Panic Disorder with or without agoraphobia. Name for Coley’s proprietary, synthetic oligonucleotide and selective TLR9 agonist for the treatment of patients chronically infected with Hepatitis C virus (HCV). Name for Coley’s CPG 7909 TLR9 agonist drugs for the treatment, control and prevention of multiple cancer indications, including non small cell lung cancer (NSCLC). Name for Salmedix’s bendamustine hydrochloride, for the treatment of patients with non-Hodgkin's lymphoma, or NHL, chronic lymphocytic leukemia, or CLL, Multiple Myeloma, or MM, metastatic breast cancer and other solid tumors. Hydro Med Sciences wished to create a new corporate identity. They were seeking a name that connoted BOLD, INNOVATIVE, MAVERICK. Name for Valera Pharmaceuticals’ Hydron implant therapy candidate for advanced prostate cancer. Flemington Pharmaceutical Corporation wished to created a new corporate identity that better reflected their novel drug delivery technolgies and systems. Name for Ferndale Labs moisturizing cream containing ceramides, cholesterol, and free fatty acids together in a nano particle delivery system.